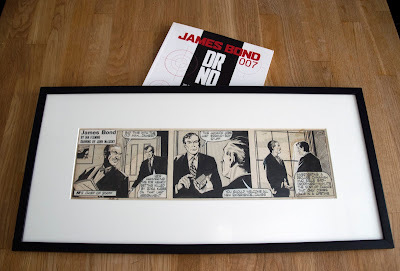 In conjunction with IanFleming.com's current contest regarding the James Bond comics I thought it would be a good idea to show the readers a new edition to my Fleming / James Bond collection. 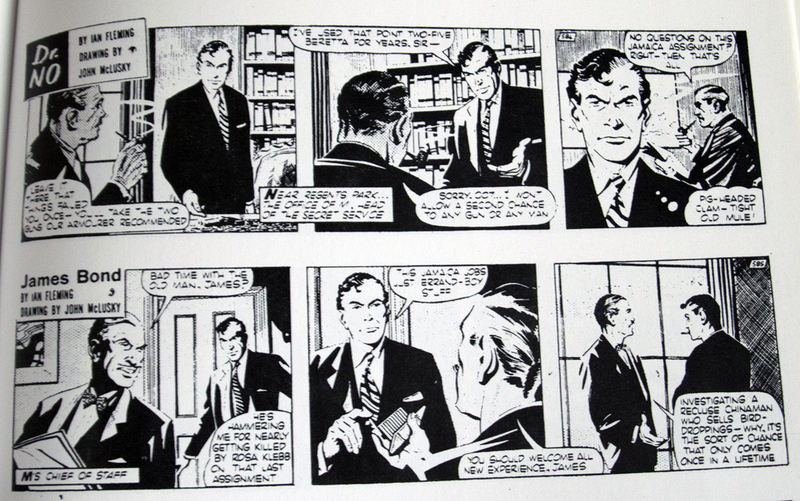 As most of you may know The Daily Express ran all of the James Bond novels as daily strips during the 50's and 60's. The comic's artist who got the job of drawing the strips was John McLusky. 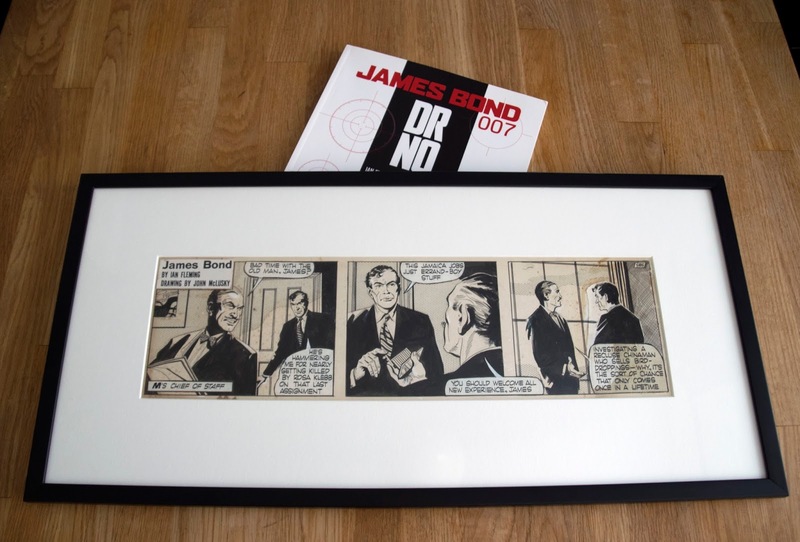 The sixth comic to be released was Dr. No and it ran in the Daily Express between May and October 1960. 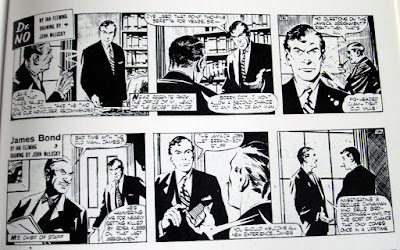 The story was written by Peter O'Donnell who is widely famous for creating Modesty Blaise. 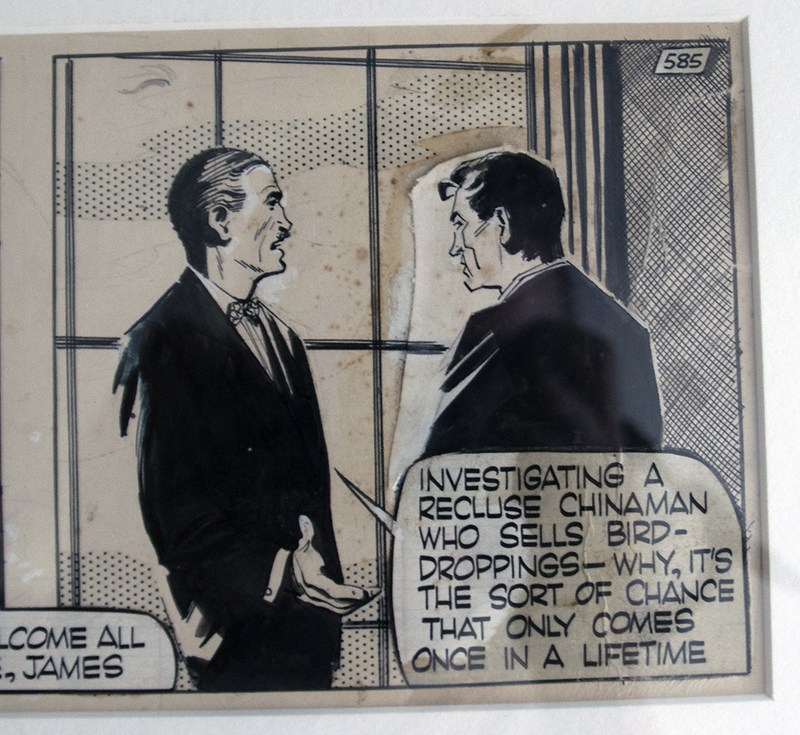 And from the Dr No story I have the second strip which is numbered 585. In other words, I own a comic strip created two years before Sean Connery became James Bond with the entire world. On the strip we see an angry James Bond just coming out of M's office talking to Bill Tanner who makes fun of Bond's lack of interest in his mission in Jamaica. 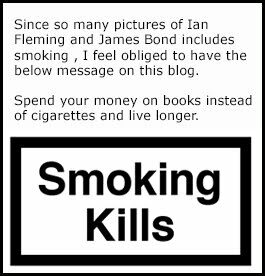 What's is interesting to see on my strip is that in the final frame McLusky has changed the complete image of Bond with a new one. The detail on the drawings are also far better then they were in the Titan Books 2005 edition as you can see below. I paid £200 for this strip and I am truly happy to finally own one. I have been wanting to add some strips to my collection for a very long time. The James Bond comic ran monthly in Sweden between 1965 and 1995 so I have been growing up with all these comic stories and have every single comic in my collection. They are around 300 comics. If any reader of this blog post has a strip for sale, please contact me. If you wish to order the remastered editions of the original comic books from Titan books you can do so on Amazon US or Amazon UK. Close up of the third frame were Bond has been changed. The quality of the Titan Books 2005 edition is a bit weaker then the original drawing.